Back in 2001, when my husband and I were deciding whether to buy Disney Vacation Club (DVC) points, one of the possible benefits we discussed was that our daughters would be able to use our DVC membership to have a safe place to go for spring break when they were older. At the time, our daughters were ages one and four, so talking about spring break solo vacations was akin to talking about dairy farming on the moon with George Clooney, the concept was equally as abstract and far fetched. Now fast forward to 2014 and that ex-four-year-old, Charlie, is now a high school senior, ready to graduate in just a few weeks. (Someone pass the tissues, please.) As it turned out, our pie-in-the-sky rationalization for the DVC purchase ended up being a wonderful use of our points. Here’s how it all worked out. Why Disney For A Spring Break Trip? Every community has a different norm for what is and isn’t acceptable protocol for senior spring break. Some communities treat this no differently than any other school vacation – kids travel with families or stay home to relax or work. Other communities have a tradition where groups of seniors travel to far off destinations (usually where the drinking age is a minimally-enforced 18) with little or no adult supervision. And of course, there are a range options within the continuum. When polling other parents in my town, I learned that there are typically many groups of high school seniors each year who use spring break as a chance to visit Caribbean islands on their own. I personally was uncomfortable with that level of unsupervised activity. While I do have great trust in my daughter (I would not have sent her anywhere on her own if I did not), the easy access to alcohol near un-lifeguarded ocean water on an island trip seemed an order of magnitude more risky than I was ready for. And frankly, I think Charlie was fairly intimidated by that scenario as well. She jumped at the chance when I said that we would gift her with DVC points so that she could host a group of friends at Disney World. Additional selling points were that Magical Express and the Disney bus/boat/monorail system made driving unnecessary and, of course, that it’s Disney, with near countless ways for teens to have safe fun. Moreover, because of my activity in the Disney community, I happen to have a number of adult friends in the Orlando area who could be called to step in during a true emergency. This gave me a extra measure of comfort. That level of security will not be the case with most potential teen travelers; however, given that it’s spring break, the odds of a neighbor or friend being at Walt Disney World or in Central Florida may be high. Just because Mom and Dad aren’t there, that doesn’t mean that all known adults are far away. As we began the rudiments of planning this trip, Charlie’s travel group fluctuated a bit. As various friends’ family and sports commitments changed, the final group ended up just being Charlie and two close friends, A and G.
This triumvirate ended up being the perfect group for a number of reasons. All three girls are well traveled in general. They had all flown numerous times and were used to things like TSA, delays, etc. The girls were familiar with each other’s sleep and travel habits. In addition to having had many previous sleepovers at home, they had actually stayed in hotels together a few times before as part of school-related extracurricular activity travel. They had a level of trust with each other that none of them would try to buck the system or break rules. They all had tools that could help them problem solve on the fly: cell phones, ATM and credit cards, insurance IDs, etc. Charlie’s friends were willing to follow her lead on the trip planning. Overall, the choice of companions for a teen spring break has much in common with choosing companions for any group or blended family trip. For example, is everyone mature enough to get along, even under stress? Do you all have the same vacation goals? Can everyone communicate what they need? Being my daughter, Charlie has been to Disney World more times than we can count. She knows her way around the parks. And she is extremely familiar with the protocols of good Disney travel, namely: plan ahead and show up early. She’s a teen, so she’s never thrilled to wake up early, but she does completely understand the value of getting to the park for rope drop. 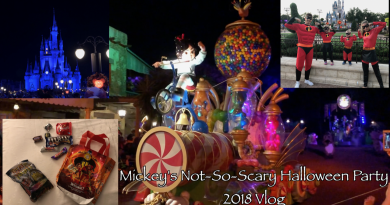 Neither A nor G had been to any Disney park since they were preschoolers; they had no practicable experience about what they would do or see during the trip. They needed to let go and have a measure of trust that the “expert” knew what to do. For some groups, this might have posed a problem. If Charlie had been adverse to taking a leadership role in the planning, if the other girls had been resentful of Charlie’s direction, or if the other girls had been non-compliant with the plans, then things could have gone very wrong, very quickly. Well before the trip, I sat down with all three girls and explained the need for planning things like meal reservations, activities, and park visit times, particularly during a busy vacation week. A and G clearly “got it” and were grateful to acquiesce their measure of control to a Disney veteran. As it turned out, one of the key factors that made the trip work was that one of Charlie’s buddies, A, is a few months older than she is. The trip took place in April, but Charlie’s birthday is during the summer. This meant that she was 17 years old during the trip. We made the room reservation when all three girls were 17, but this component of the trip was fine because one would be 18 at check-in. Nary a glitch happened with the hotel. We had more problems making meal reservations for the girls. The Disney reservations websites will not allow anyone to make reservations who is not already 18. 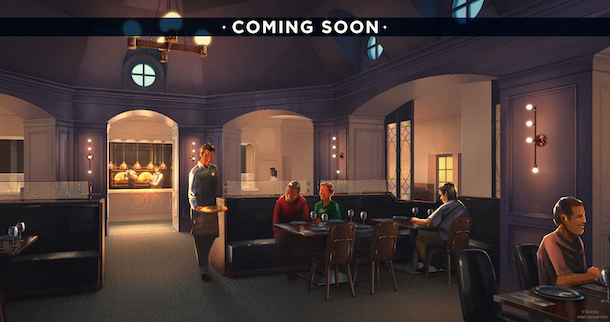 As any good Disney planner knows, table service restaurant reservations can be made up to 180 days in advance, and many SHOULD be made 180 days in advance. All three girls were firmly in the land of 17 this far before the trip and every time they tried to make meal reservations on their own, the system froze. Because of this, I ended up making their meal reservations on my own DisneyWorld.com account, using my name and my credit card to secure the reservation. We did end up changing this at a later point (more on that in a sec) but as a practical matter, once you’re at Walt Disney World, the restaurants themselves don’t really care what name is on a meal reservation as long as someone shows up at the appointed time. By far the most complicated part of the pre-trip planning ended up being getting FastPass+ reservations for the girls. While making their meal reservations in my name posed little problem, FastPass+ reservations had to be in the girls’ names so that they could be linked to their accounts, MagicBands, etc. They were traveling during a crowded week and wanted to ride all the headliner attractions (ideally several times), so FP+ use was an imperative. Making FP+ reservations as far in advance as possible was a potential key to getting the reservation times they wanted. But while they could theoretically make reservations 60 days in ahead (because they were staying on site), since A didn’t turn 18 until about 20 days before the trip, the DisneyWorld.com computer system would not let them in at the 60 day mark. After much frustration, Charlie got on the phone with Disney. She was fortunate to find a sympathetic cast member in tech support who understood the problem and was determined to help her fix it. The workaround that the CM devised was to simply “age up” the girls in the MyMagic+ computer system. Instead of being 17, they all magically became 18 and, voila, they could now make FP+ reservations. We had concerns that this would somehow mess up the room reservation, but apparently these two systems have no bearing on each other. The helpful CM also took the meal reservation confirmation numbers and transferred them to Charlie’s own MyMagic+ account. For any guest who is contemplating a trip similar to this, I strongly suggest that you make the hotel reservation over the phone using accurate birthday information. Then set up a DisneyWorld.com account for the travelers in which everyone is 18, regardless of their actual age. You can then link resort and park admission ticket confirmation numbers, allowing the teens full access to the meal and FP+ reservation systems. As I mentioned, my family offered to provide the room for the girls. We also treated the girls to a dinner at Victoria & Albert’s as a graduation gift. This was our choice and we were happy to do this. All other expenses were split evenly. Each girl purchased her own park ticket and airline ticket (on the same flight). While in the parks, the girls used their own funds to buy souvenirs (no co-mingling of MagicBand purchases) and they always asked in advance for separate checks at restaurants. The one exception to the separate checks rule was the V&As meal. Several days prior to this visit, my husband called the restaurant directly and spoke with a manager. He left his credit card number on file with instructions to add a 20% tip. The girls never saw a bill for their graduation gift dinner. Other groups might devise other payment arrangements, but pre-travel communication on this front is key to avoiding confusion and mid-trip squabbles. Just prior to the trip, I sat down with Charlie and reviewed most of the trip details. She had a terrific handle on how to navigate the parks and the Disney transportation system, but I did need to review some of the more macro travel procedures. I made sure that she had the My Disney Experience and JetBlue (their airline) apps on her phone. We tripled checked that she had copies of all tickets and reservation numbers in several places. I also reviewed Magical Express procedures with Charlie. She had been on ME several times before, but had never been the point person paying attention to the ME desk location at Orlando International. I also reviewed what the ME pick-up procedures would be on the return end, as well as the process for using the Resort Airline Check-In and how to ask bell services to hold carry on bags during the girls’ last day at the parks. I obviously wasn’t with the girls during their trip, but I did check in with them via phone or text a few times each day. I’m thrilled to say that the trip went off without a hitch. Check-in at the hotel was seamless. Charlie’s friend A (the 18 year old) had to show her driver’s license as ID during check-in, as is standard procedure for all guests, but no one questioned the youth of the group or made any mention of their presence as a cause for concern. Charlie said that the only time during their five-day visit that anyone asked them about their age was when they used Resort Airline Check-In to have their bags sent to the airport. I believe that this was more of a routine airline question than any concern on the part of Disney. The girls showed up to all of their meal reservations on time. They visited all four parks, some more than once. They hit all the headliner rides, some more than once. They took photos with Mickey and the princesses. They charmed a PhotoPass photographer into an extended photo shoot. They got G some “grey stuff” at Be Our Guest on her birthday. They were selected to be the guest volunteers at the Hollywood Studios Backlot Tour. They napped at the pool in the afternoon. They modified FastPass+ reservations on the fly in the parks. And they ate, and ate, and ate at V&A’s. The girls all had a fantastic time. 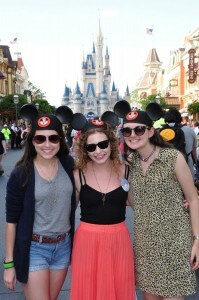 In short, it was an uneventful trip to Disney World – which I mean in the best possible way. Would you send your older teens to Disney World unchaperoned? When was your first trip to Disney World without your parents? What kinds of concerns would you have had about such a trip? Let us know in the comments below. We are already thinking of the logistics of sending him and a few friends next year on his break or in the summer as a graduation gift. I so appreciated hearing how you handled everything and that you shared all the things you learned. Thanks….it sounds like she had a magical time! Thanks for this article. I just sent it to my 15 y/o. She would absolutely love to do this when she is a senior. Good news is she turns 18 in the fall of her senior year. I can’t wait to hear her response to it…. Where I grew up, it was typical for high school graduates to take a “senior week” trip after graduation to a house at the jersey shore. These trips were unsupervised and usually involved copious amounts of underage drinking and other bad decisions. To avoid the debauchery (and a long argument with my parents) three friends and I went to WDW for 5 days. We stayed at all star movies and booked a package that included mears transportation (this was pre-magical express). We had an absolute blast and still talk about it 13 years later. My parents must not have regretted the decision to send me, because just last year, they sent my youngest sibling and a group of her friends. Glad your daughter had a great trip! It’s very common for kids to go to Ocean City, MD for Senior Week after graduation…..I did it many, many years ago as well. I know the drunk-fest that happens and have heard how much worse it has gotten over the years. My daughter who is finishing up 8th grade is already planning her Senior week at Disney…..she asked if we would let her and her friends get a DVC room and go for a week. I didn’t even have to think about it!!! I had a few parents ask me if I was serious and I told them I’d much rather them be in Disney, where Aly knows her way around and everything will be planned out, rather than at a week long frat party! Thanks so much for sharing your article….good to know there are others that feel the same way I do! I hadn’t thought about this at all, but this is a wonderful idea! My daughter is in 8th grade, but it would be a good idea to start planning what she’d like to do for her Senior trip, at least on the ‘idea’ level, now. She started school a year early, so would be firmly on the 17 side when she graduates high school (she won’t turn 18 until her first year of college). However, her closest friends are all older, since they’re all in the same grade. It shouldn’t be a problem to do something similar in a few years. Even if her group of friends shifts, since her peers are all older than her, there should be at least one person that’s 18 at the time of the trip. My parents were kind enough to gift me some points for my 21st birthday. My two sisters (19 and 16 at the time), my brother (14 at the time) stayed at a studio at AKL. I was happy that two of us were over 18 as that made all aspects of planning much easier. For my 21st birthday activities, my older sister and I split drinks around the world while the younger ones snacked around the world. Everything went seamlessly and I was happy to be in Disney World rather than getting alcohol poisoning on campus. One benefit of DVC points over just booking a room is many younger people do not have a credit card and a major credit card or a debit card backed by a major credit card company is needed to check in. My former high school does a senior trip to Disney World every year. I went and was pretty dissatisfied because we had very strict curfews and rules that severely limited our access to the parks, plus it was godawful expensive. My youngest sister is discussing an alternative break with her friends. One point of clarification – you do not always need a credit/debit card to check in. You can pay and secure reservations with cash, Disney gift cards, or several other forms of payment. Although she’s 17, my daughter has had a credit card with her name on it for several years, secured by me. She happens to travel a lot for school activities and I like that she has access to emergency funds. So that’s a possibility for younger guests. But even if you didn’t want to give a credit card to a young adult, this would not necessarily be a deal breaker. Still easy for them to invite the boys to their parent free room and get some alcohol. Agreed. Rationalization is a comforting salve when even rose-colored glasses won’t do. Obviously, if your kids aren’t trustworthy, don’t send them. Every parent has to decide for themselves both how trustworthy their kids are, and how much they trust them. All you can do is try and set them up for success, but ultimately it’s their own decision to succeed. At 17 & 18 years old, kids can do that anywhere, anytime, whether it’s at home, a classic Spring Break party destination, Disney World, or when they go off to college a few months later. Disney World is certainly better than a party destination. At 17/18 years old, if your kids are the type to get drunk and invite boys over, you’ll hopefully know that by then. It’s up to each parent to decide what their kids are ready for. Either you trust your kids with a gift like this, and they are worthy of that trust, or you don’t. You decide what your kids are ready for. Do keep in mind, though, that in a few short months, they’re on their own regardless. This is just about what you want to spend your money on while they’re still “under your roof” so to speak. …as I just finished saying….. They can also have boyfriends come over while you are at the grocery store. The point being, if you can’t trust them then you cant trust them and it doesn’t matter what you do. You can however, chose to put them in a safer environment that makes making the right choices easier instead of harder. Think of it as a dry run. In just a few months they will be living on their own anyway. Thank you so much for sharing this experience! I have 13 year old twins and have not thought far enough ahead about this, but absolutely love this idea. I appreciate all of the detail and the fact that you anticipated so many questions with a great answer already! Wonderful follow-up post trip too. I would be much more inclined to send my children to Disney rather than the beach for a senior trip. Great alternative. Thanks again! I have two daughters: a sophomore and a 6th grader. You have given me some great ideas for graduation gifts for them in the future. I appreciate all the time and detail you put into this post! I will save it as a reference not only for future solo trips for the girls, but perhaps letting them spread their wings a little bit in the shorter term on a future family trip. Excellent post! What you did was great! You know, as parents, we try to teach our children the right way to do things. Depending on each individual child, you can allow them a certain amount of freedom. At some point you do have to let go & trust that they will make good decisions. We remember because we were teens at one point. Some of us made better decisions as teens than others & we learned from our own mistakes or others – hopefully. I know that my 16 year old is doing great compared to myself as a teen – so far so good. WDW is a much more controlled environment and your daughter had been exposed to that early on & grew up knowing what is expected there (such a good example). I am so glad they had such a great trip & that things went exactly as planned. If they did indulge, they did a great job at hiding it & controlling it. You can only try to trust them & evidently you can! Pat yourself on the back for a job well done!